Enjoy this squeaky clean facial: organic fruit enzyme, vitamins and antioxidants. Includes Lymph drainage and Extractions of all clogged pores breakouts. Followed by a skin mask appropriate for your skin type. Including massage of the head, neck, shoulders and feet. You and your skin will love it. A less invasive alternative to microdermabrasion leaves the skin glowing, assists in lightning of pigmentation and removes facial hair. Deep cleansing followed by an exfoliating enzyme peel, your skin will lighten, brighten and be silky smooth. A special lifting massage is performed to to stimulate the circulation and tone the skin. Finish with a moisturizing calming mask and nourishing serums-the perfect balance of nutrition and stimulation for healthy toned skin. Problems with age spots, irregular pigmentation This helps to balance areas of uneven pigmentation caused by hormonal imbalance, UV exposure and pregnancy by helping regulate the melanin production. Proper home care recommended. This facial is customized for your skin type including deep cleansing, exfoliating, balancing and hydrating. Its perfect for acne, dull lifeless skin in need of rejuvenation. Includes lymph drainage of face and neck. The results are fresh clear skin. Reap all the benefits of this rejuvenating facial or enzyme treatment in only 35 minutes when time is of the essence. No extractions. Deep cleansing followed by a Deep exfoliating peel using the Margarita Peel or Noni Peel, your skin will lighten, brighten and be silky smooth. Finish with a moisturizing calming mask and nourishing serums-the perfect balance of nutrition for healthy skin. Dispersing and eliminating bacteria before it takes over is a key step in blemish control. Using a potent salicylic paste, antioxidant serums followed with appropriate extractions and an anti-bacterial mask will assist in the clearing and prevention of acne lesions. Clear complexion is our goal. An effective exfoliation using the dermafile system. A great alternative to microdermabrasion for treating sun damaged skin, acne scarring and pigmentation. Electrocurrent Massage: Stimulating Current massage that lifts and tones. Pressure Point Foot Massage: Includes Sea Salt Exfoliation, Warm towels and Pressure point Massage. All that equals Bliss! 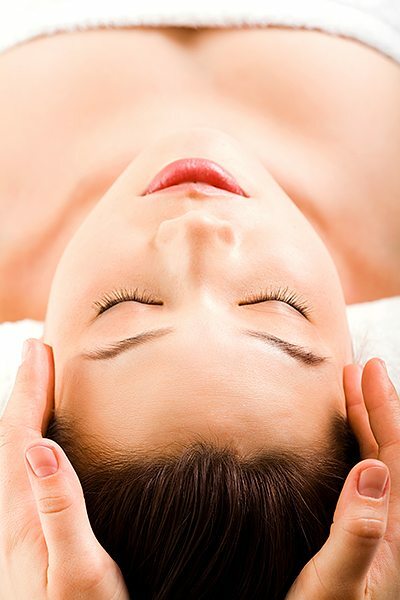 Back Treatment: Facial for the back. Includes peel and pore cleaning as well as a detox masque and massage. Scalp Treatment: Luxurious hair oil is massaged into the scalp. Leaving you deeply relaxed and your hair silky smooth. The Rejuvapen MicroNeedling stimulates the skins natural healing which increases the production of collagen and elastin in the skin. The normal healing response begins the moment of tissue injury by the perforations of the micro needles. Micro Needling treats fine lines and wrinkles, acne scarring, surgical scarring, burns, stretch marks, and firms and tightens the skin. There is minimal downtime. It can be used on any skin type. Rejuvapen is an amazing breakthrough in skin care that yields amazing results quickly with almost no downtime. It is becoming more increasingly popular among patients and for various reasons. It is quick, no real down time, and note worthy results. So, what is this new MicroNeedling treatment, and how does it work? Rejuvapen’s nine precisely spaced micro needles create tiny perforations in the top two layers of the skin. The skin shifts its repair mechanism into high gear, producing collagen and elastin to mend these micro-perforations. This is a 100% natural form of skin renewal, repairing from the inside out. Your skin will be firmer and regain its elasticity, so fine lines and wrinkles become visibly reduced, pores are smaller, and creates younger looking skin. Before and After with 2x weekly for 4 weeks. Biophotonic therapy is based on LED technology and is the application of light energy to the body for therapeutic benefits. It promotes a natural photobiochemical reaction similar to the process of plant photosynthesis. The energy delivered by the Light Emitting Diodes (LEDs) has been shown to enhance cellular metabolism, accelerate the repair and replenishment of damaged skin cells, as well as stimulate the production of collagen – the foundation of a healthy and smooth skin. Research has shown that LED Light Therapy may help to smooth skin texture, improve skin firmness and resilience, increase the lymphatic system activity, restore skin’s natural cellular activity, and reduce the appearance of fine lines, wrinkles and superficial hyperpigmentation. The treatment is for all skin types and it is non-ablative, non-invasive, painless with absolutely no downtime. Patients or clients can return to their normal activity immediately after the treatment. How long is a Celluma Light Therapy Treatment? 30 Minutes alone; 45 minutes with the incorporation of basic cleansing and exfoliation. LED technology generates negligible amounts of heat and is not considered a significant risk device. Does LED therapy utilize UV light? No. LED devices utilize a combination of blue, red and near-infrared (not visible to the naked eye) light emitting diodes (LEDs) only. Add to any facial or massage service and only $25!